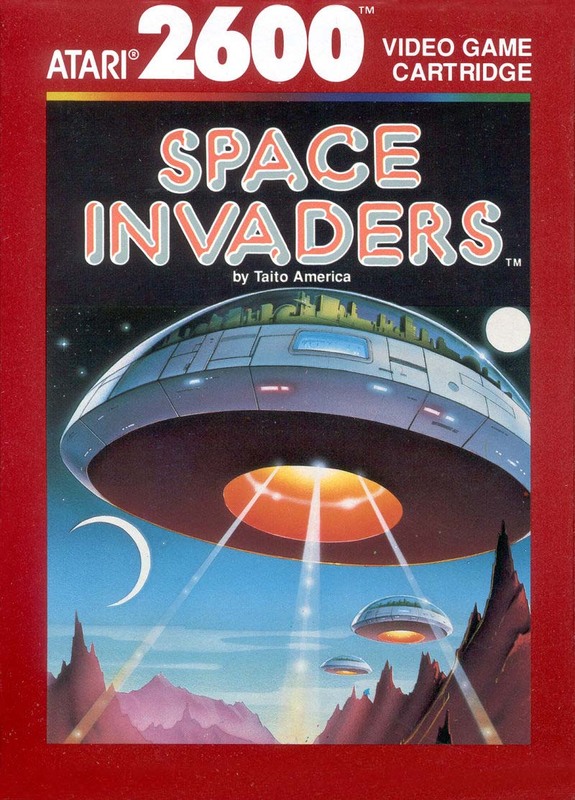 It has been well documented that Space Invaders was a quarter-hogging phenomenon back in the late 1970s, and Atari catapulted themselves into 1st place during the early home console wars when they procured the rights to port it on their Video Computer System in 1980. I’m not sure I can emphasise just how important Space Invaders was in drawing people to arcade gaming in the late 70’s and again when it sold consoles for Atari upon its home release in 1980. Arguably the very first “killer app” in the history of home console gaming, Space Invaders not only gave fans of the arcade title a means to play this phenomenon at home, it also provided the home gamer with 112 variations to keep them interested upon repeat plays. 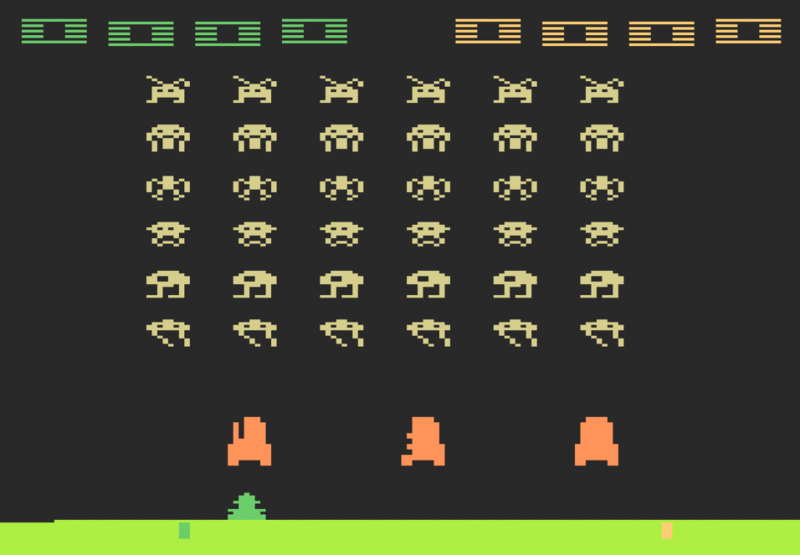 Gameplay is simple: a total of 36 alien invaders in formation move across the screen horizontally. Once they reach the end of the screen, the entire formation shifts down a row. If you allow an alien to reach the ground level, you lose a laser base. Aliens fire shots at your base as well so you must either dodge them or hide behind bunkers. These bunkers will disintegrate the more they get hit by shots from you or the aliens and once they are gone, you are completely exposed. Your job is to blast the aliens to kingdom come one shot at a time. What I mean is, you cannot have more than one shot on screen at any time, so each shot fired from your laser must hit it’s target or else it flies to the top of the screen, wasted, and you cannot fire off another shot until it’s gone. The fewer aliens left on the screen, the faster their movements become. Once you clear the screen of all aliens, the level restarts with a slight increase in difficulty. Easy to learn but tough to master. See why Space Invaders was and still is so addictive? Since arcade and home console games of this era focused on point totals and high scores, I should briefly discuss how the scoring in Space Invaders works. The 36 aliens on screen at the start of each level are represented in rows of 6×6. Point totals for each alien eliminated are lower on bottom row 1 (5 pts) and get incrementally higher through top row 6 (30 pts). There are also Command Alien Ships that fly across the highest part of the screen and are usually worth 200 or 100 points depending on the game variation. As you can see, the scoring is as simple as the gameplay. The more screens of aliens you clear, the higher your score. I have very few memories of playing Space Invaders in the arcades, as I was too young when the game was at its popularity peak. By the time I was playing arcade games in the mid 80’s, technology had passed this Taito/Midway classic by, and it was hard to even find an arcade that still had a Space Invaders cabinet. As a result, the Atari VCS version is the definitive version in my mind because of its ability to switch up the gameplay and also because of its importance to home console history. Once Atari secured the rights to Space Invaders for their VCS, this was their chance to prove they could bring the arcades to your home. I think they knocked it out of the park in that respect. The VCS was already selling at a pretty decent rate by 1979, but the sales numbers indicate that a significant spike occurred once Space Invaders was released. This is a tough one because as a purist at heart, game variation #1 on difficulty setting A most closely resembles the arcade version of Space Invaders and it’s the variation I typically play. But there is something sinister about game variation 9, which is one player basic gameplay with the only difference being that the alien invaders are invisible until one of your shots hits one and the entire formation is shown briefly before becoming invisible again. I like this variation even though it’s very challenging. Since Atari games were being released in North America for over a decade, many games went through a variety of label variations over the course of the consoles very long life cycle. Space Invaders for the Atari VCS/2600 had at least 4 label variations that I’m aware of. There was a text label which was the original released version. Next came a black framed picture label released shortly afterwards in the early 80s. The picture used was that of a circular “space invader” ship in the foreground shooting lasers down at the barren, rocky surface of Earth (must be hovering over a desert somewhere). Finally, silver and red framed label variations were released in the mid and late 80s respectively using the same UFO-like image. I own both the text and black framed picture label and the black picture label is my favorite as I’m a fan of video game art in general and Atari art was some of the best. I have to say it’s the Command Alien Ships, or UFO’s as I always called them before I read the Space Invaders manual. They announce their presence with a siren sound and fly across the screen at the far top. You are goaded into shooting at them because you know they are worth so many points if you hit one, but by doing so you waste precious time and shots that should be used to take out the formation making their way towards Earth. Since they are extremely satisfying to blast into the stratosphere, the reward is worth the risk. Space Invaders mastered the art of tension by speeding up the music and movements of the aliens the closer they got to land and the more of them you destroyed. I still get nervous trying to hit that last single alien as it speeds back and forth across the screen getting closer and closer. The simple concept of shooting up from the bottom of the screen at aliens as they systematically move down in a pattern towards the ground has been done to death by imitators but the original Space Invaders holds up. Still deemed a classic and rightfully so. Awesome article. I actually just opened up a new store dedicated to retro things. Space invaders, galaga, and galaxian were always some of my favorites growing up as a kid. A classic rightfully so.. well said! Thank you. 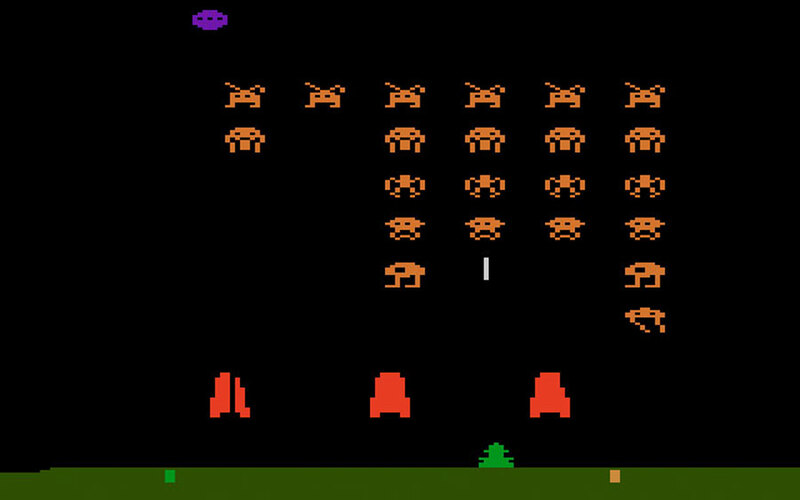 Sometimes the simplest games are the most enduring and Space Invaders is testament to that.